There are two Hall of Fames the Boston Red Sox care about: the Red Sox Hall of Fame and the National Baseball Hall of Fame. For a lot of guys, the Red Sox Hall of Fame is the best they can do. The 2018 class was announced on Thursday–and the class was lit, as the kids would say. If you were wondering whomst (it’s a mix of who and whom) the Red Sox are inducting, it’s Kevin Youkilis, Derek Lowe, and Mike Lowell, Buck’ Freeman and Al Green. Let’s reminisce a big here. 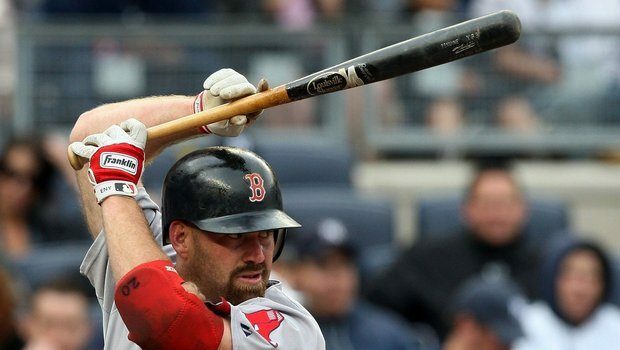 YOUK — Youk had a nice little 9-year career with the Red Sox where he earned two World Series rings and showed some impressive plate discipline (.388) to go along with an eccentric batting stance. He’s the guy everyone thought the fans were booing at Fenway. Nope. Everyone loved him. Derek Lowe — Lowe was on the Red Sox for eight years out of his 17-year big league career. He had a 42-save season (2000) and 21-win season (2002) and despite a lackluster 2004 regular season, he came up yuge in the postseason (1.86 ERA in 19.1 innings). Well-deserved. Mike Lowell — Wasn’t this dude just a “throw-in” for Josh Beckett? He ended up being so much more than that. He spent five years with the Red Sox and was the 2007 World Series MVP after collecting six hits in 15 at-bats as the Red Sox swept the Colorado Rockies. I mean, personally, I would’ve given it to someone else. Buck Freeman — He played for the Red Sox from 1901 to 1907 and helped the Red Sox (who were then known as the Boston Americans) to a World Series in 1903. He led the league in home runs that year too (13). Al Green — He spent 44 years working for the Red Sox, mostly in fan services. Awesome to see him get honored for working hard.